Fatherhood today is in crisis. Fathers have gone missing, or have become their children’s playmates, and the symbolic authority of the father has lost its power. For many, the decline of the traditional pater familias is no bad thing – his time has passed. But what remains of the father today in the wake of this decline, and what should the relation between children and parents now be? In addressing these questions, psychoanalyst and bestselling author Massimo Recalcati draws inspiration from the story of Telemachus in Homer’s Odyssey. 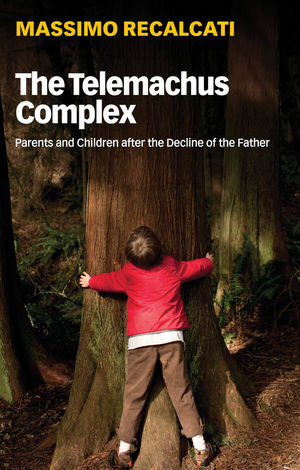 The Telemachus complex is the reverse of the Oedipus complex. Recalcati argues that children are possessed not just with a desire to annihilate their father, as their key rival in the contest to win the mother’s love, but also with a longing for a father-figure, as someone who brings meaning, structure and order to their lives and who imbues them with a sense of the future. But this desire on the part of children needs to be reconfigured so that it can find solace in the longing, hope in the anticipation, and relief in the expectation. Whether the father arrives is less important than the children’s own journey of belief in a stable future. This fresh and insightful account of the changing relations between parents and children in the era of the decline of the father will be of great interest to a wide general readership, as well as to students and scholars of gender studies, psychoanalysis, psychology and sociology. Massimo Recalcati is a psychoanalyst and author who teaches at the universities of Pavia and Verona. A bestselling author and one of Italy’s most prominent public intellectuals, he has received numerous awards for his writings on modern relationships and family life. 4. What Does It Mean To Be A Rightful Heir?